On Sunday morning, the New York Times found itself on the opposite – and embarrassing – end of an elaborate hoax when an op-ed piece seemingly authored by former New York Times executive editor Bill Keller appeared online and made the rounds across the internet. The hoax came complete with a replica of the NY Times website, hosted at a slightly different URL registered in March, as well as an imposter Twitter account and a fake PayPal blog. And dozens of high profile tweeters — including the likes of Salon, BuzzMachine’s Jeff Jarvis, prominent accounts of the hacker collective Anonymous, and even the NY Times itself — found themselves circulating the cunningly planted ruse. 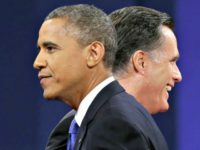 The phony Keller op-ed, titled “Wikileaks, A Post Postscript,” offered a staunch defense of Wikileaks and founder Julian Assange, while taking the opportunity to squeak in criticisms of Republican members of the House Judiciary Committee and Obama’s State Department. 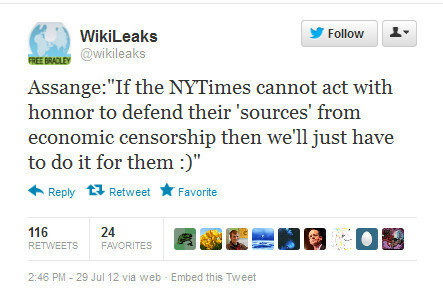 AS rumors build about the potential financial blockade against the New York Times by Visa, Mastercard, and American Express for hosting U.S. government cables published by WikiLeaks, I find myself in the awkward position of having to defend WikiLeaks. 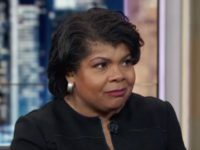 During the House Judiciary Subcommittee hearing on July 11th, several Republicans made it clear they also want New York Times journalists charged under the Espionage Act for their recent stories on President Obama’s ‘Kill List’ and secret US cyber attacks against Iran. As those of you who have followed my turbulent relationship with WikiLeaks and its Guru-In-Chief Julian Assange know, I am first in line when it comes to distancing myself from his brand of transparency without government checks and balances. You don’t have to embrace Assange as a kindred spirit to believe that what he did in publishing those cables falls under the protection of the First Amendment. The backroom pressures by the Obama Administration’s State Department to expand its financial blockade targeting WikiLeaks to include news organizations that host information from their trove of pilfered documents goes too far. Even Nick Bilton, a technology writer for the NY Times, tweeted a link to the op-ed, believing it to be genuine. Reports indicate that the fake op-ed was quite realistic; the home page of the NY Times was recreated to look nearly identical, even mirroring the links to the current page’s content. Only the URL was different, and a few missing widgets that went easily undetected by the unassuming viewer. Bilton, howeve,r eventually determined that the account from which the op-ed was initially tweeted was, in fact, an imposter account – a capital letter “I” had been substituted for a lowercase “l” in the Twitter handle for @NYTkeller, as seen in the screen capture above. He later deleted the tweet and notified his followers of the error. But not before many others had already disseminated the information, helping it to spread rapidly across Twitter and elsewhere. Although PayPal’s courageous refusal to participate in the expanded blockade against The New York Times strikes me as a slightly disingenuous given that The Times doesn’t accept subscription payment through PayPal, their position is nonetheless admirable and should be applauded. 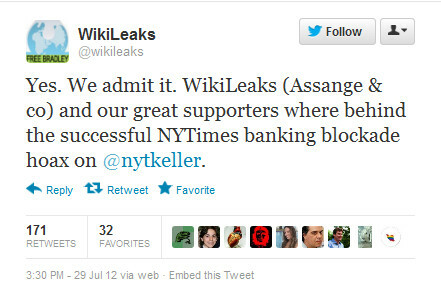 How it will impact their original defense of the WikiLeaks blockade remains to be seen. However we may need their services should a blockade be imposed by the major credit card companies. 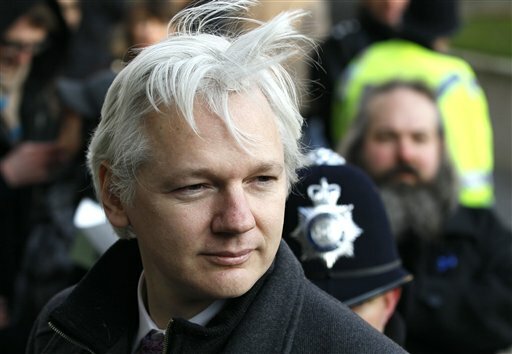 Even after Wikileaks’s first victory against Visa in Iceland, I still must urge Visa, Mastercard, and American Express to take a similar stand against the use of financial embargos to prohibit supporters from contributing or subscribing to media organizations protected by the First Amendment and free speech laws. Even though journalism should work in unison with government, I fear the calls for limited free speech rights by upstart radical groups like Block The New York Times and Accuracy in Media. 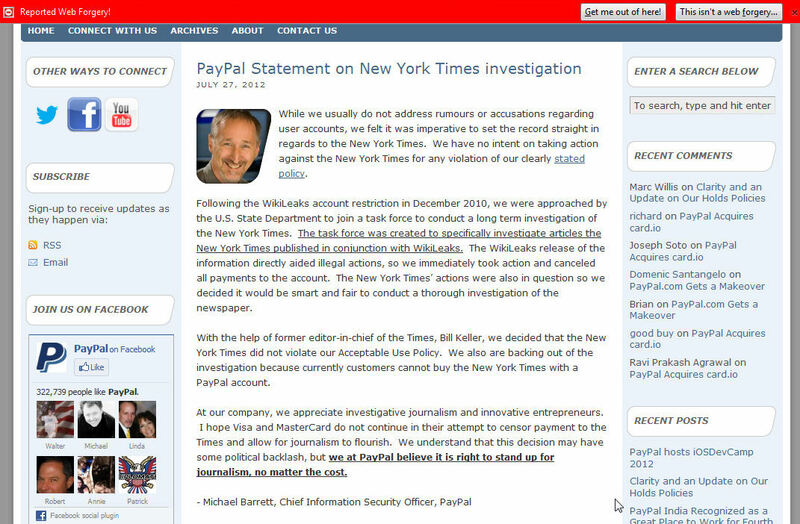 Readers were directed to an article posted at a fraudulent PayPal blog, which has since been updated to present a “forgery” security warning prior to the website’s display. Sunday’s hoax perpetrated by Wikileaks hearkens back to the same tactics that the organization’s supporters vehemently decried in the wake of the HB Gary Federal scandal, in which a private security contractor suggested planting false documents in a proposal to disrupt Wikileaks and several progressive organizations. While that proposal was reported to never have been carried out, the online community has however since seen a number of successfully executed hoaxes, including those that targeted the Heartland Institute and Wisconsin Governor Scott Walker, among others.